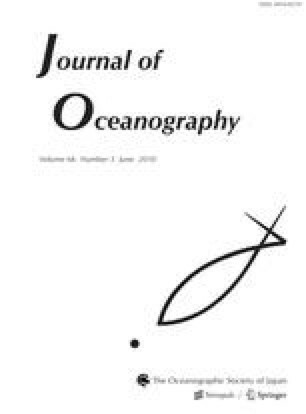 The time series of dissolved oxygen (DO) concentration in the Japan Sea Proper Water (JSPW) shows clear interdecadal oscillation with about 20-year periodicity since the 1970s. This interdecadal variation in the DO concentration is positively correlated with the Arctic Oscillation (AO) index; the DO concentration tends to be high during a positive AO phase when the East Asian winter monsoon (EAWM) is relatively weak, which is considered to be an unfavorable condition for the JSPW formation. To clarify the discrepancy, the cause of the interdecadal oscillation was investigated using the wind at Wajima and sea surface temperature (SST) in the JSPW formation area. The cold-air outbreaks determined from the wind at Wajima are synchronized with the interdecadal oscillation of the AO; during a positive AO phase the cold-air outbreaks over the Japan Sea are more active, as reported by Isobe and Beardsley (2007). Since the SST in the JSPW formation area is negatively correlated with cold-air outbreaks, the activity of cold-air outbreaks is more important to the JSPW formation than the EAWM, at least on an interdecadal timescale. Significant correlations of the indicator of low pressure migration with the AO and cold-air outbreaks confirm that atmospheric disturbances move frequently into the Japan Sea from the East China Sea in a positive AO phase. A detailed examination of cold-air outbreaks revealed that the passing of atmospheric low pressures temporarily enhances the east-west pressure gradient over the Japan Sea and effectively brings cold air into the JSPW formation area.